Replenishing electrolytes and getting plenty of calories is key on the Wonderland, but unfortunately, food is heavy and will account for a lot of weight in your pack. 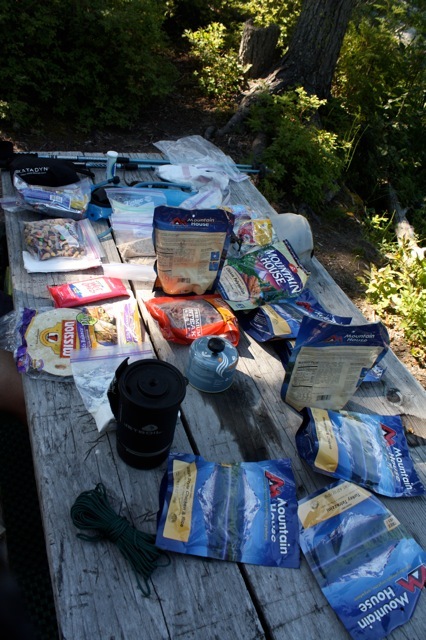 Most backpackers can count on 1 to 2 pounds of food weight per day on the trail, which adds up quickly. Using dehydrated and freeze dried foods can help you achieve higher calorie intake with less weight. Let’s face it, all food just tastes better in the outdoors. Whether you prepare or purchase your food, it has to be something you like to eat or you will wilt like a falling leaf. Since there are no kitchen sinks or trash cans in the backcountry, keeping your food simple is key. But that doesn’t mean food has to be boring or not tasty! Get creative. There are plenty of books out there that suggest recipes with dehydrators or even your oven. Many of those recipes use everyday, pantry foods that eliminate prep work and limit dish washing on the trail. If you can make each meal beforehand in a lightweight bag and at camp just add boiling water, you’ll only have a spoon to wash, one small baggie to discard. Oven bags and freezer bags make great dehydrated meal containers and accept hot water without melting. Instead of bringing several small instant oatmeal packets, make your own gourmet oatmeal, with your specific portion size, in a baggie for each day. At home, mix a batch of instant oatmeal with dried blueberries, dried mangos or strawberries, nutmeg, powdered milk, cinnamon and brown sugar. Scoop a serving into a freezer bag for each morning on the trail. At camp, just add hot water and wah-lah, a fancy oatmeal is served. You can do the same with Malt-O-Meal or Cream of Wheat. 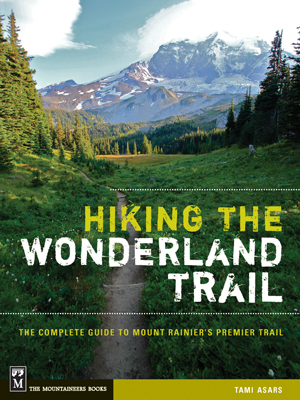 Amounts will vary depending on party size and trail days, so look for recipes in books and online. Pour your Lucky Charms or Kashi cereal into a baggie and add a bit of powdered milk. At camp, just add ice cold water to the baggie and you’ll have cold cereal with no bowl to wash.
For lunches and dinners, things like instant mashed potatoes, instant pastas, instant rice or quinoa make good bases for freezer bags. Add things like dried veggies, dried milk, dried garlic, dried onion and a variety of seasonings to give them flavor, zest and zip. Fresh herbs keep nicely if they are patted dry and tossed in with a freezer bag. Meats such as chicken and tuna fish are now available in foil packets at most grocery stores, which add a bit more trash, but give the meal some protein. Hard cheeses with low moisture content such as fontina, jarlsberg or asiago work well to bring along either for snacking or to toss in a freezer bag. The same goes for hard salami and hard pepperoni. Melba toast or pita chips are usually durable enough to handle the long trail days, but most crackers tend to smash into pieces when confined to a pack. Tortillas or pita bread spread with peanut butter or peanut butter and jelly work well for either breakfast or lunch and contains some protein to keep those muscles moving. 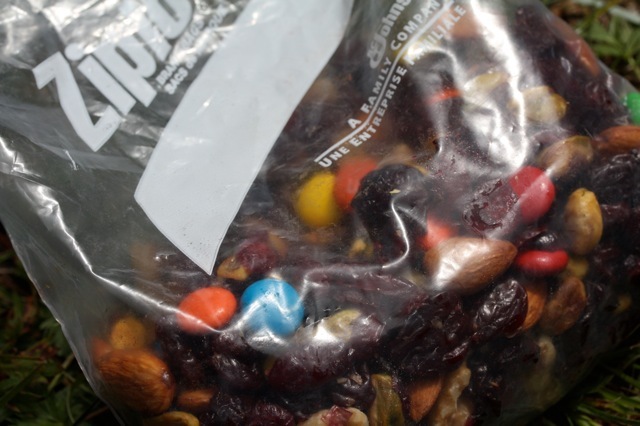 Dried fruit and trail mix can be heavy, but gives the body a nice fiber and vitamin fix. Performance food, such as protein bars, fruit and nut snack bars, granola bars and performance gels are a good bet as they contain a good balance of protein and complex carbohydrates. Eating one or two between meals can help boost energy, promote endurance and encourage recovery. Powdered sports drinks such as Cytomax®, Gatorade®, Camelbak® Elixir, Nuun and others good ways to give your tongue a little treat and help replenish lost electrolytes. They tend to weight a little, so be sure to sneak them into your hiking companions pack when they aren’t looking. Or go easy on quantities. At lunch time, especially on long days, it’s not a bad idea to stop and cook up a meal. If you choose to do cold cuts or bars, at least stop and take your shoes and socks off. This will help put some nutrition in your tummy for the rest of the day and will also allow your body and feet a good solid rest. If you are inexperienced with backcountry cuisine or just don’t want to hassle with fixing meals before a trip, I highly recommend the delicious option of freeze dried meals such as my favorite, Mountain House® brand. Freeze dried meals can be eaten right out of their bag and require only hot water to make them come alive. I’m not kidding when I say that the macaroni and cheese is creamy, cheesy and will make you close your eyes for a second to savor the flavor at first taste. Other delicious entrees include stroganoff, pasta primavera, sweet and sour entrees, and stews. I recommend bringing a very small container of salt and pepper (and some cayenne pepper if you like heat) to bring out the flavors. Tortillas or pita bread work well as an accompaniment. One tip when cooking your freeze-dried food is to let the food reconstitute for longer than the direction recommend. Doubling the wait time and giving it a stir halfway through allows the freeze-dried meal to set up nicely and you won’t get any unexpected crunches in your bites. It’s not a bad idea to fire up a meal or two on your training hikes to ensure they agree with your palate and that the portion size is correct, before you drag them out into the woods. One brand, and I’m not namin’ names, inspired a 22 mile hike back to the car for a real meal on what was to be 10 mile day. Many of the freeze-dried cuisines come in packages with a serving size for 2. Splitting the meal between two average people with a side of tortilla and a light dessert of chocolate or hard candy works pretty well. If you are a big eater, however, you may decide you want a full 2 serving meal to yourself. If so, keep in mind that you are accountable for packing out what you cannot eat, so make sure your eyes are not bigger than your plate. Also, keep in mind that your belly might take on the qualities of the Itty Bitty Backpacker Belly and shrink during your trail days. If what you thought you could eat changes, packing an extra freezer bag or two for splitting up food is not a bad idea. To make your trash tiny, take the largest baggie or freeze-dried meal bag and stuff your folded baggies and performance bar wrappers inside of it. Gently step on the bag to squeeze all the air out and zip it closed. If you do this daily, you’ll end up with a flat, small and manageable trash bag to toss on your last day out. Never cook in your tent because of the risk of fire and the possibilities of CO2 poisoning. Cook outside, enjoy the beauty of the nature, do your best to ward off the bugs and use your rain gear if it’s drippy. Your trip is going to go by fast, so take it all in, even the ‘unpleasants’.